Evelyn Marie Lowry, originally uploaded by Michael A. Lowry. I'm now an uncle, thanks to this cute little girl. 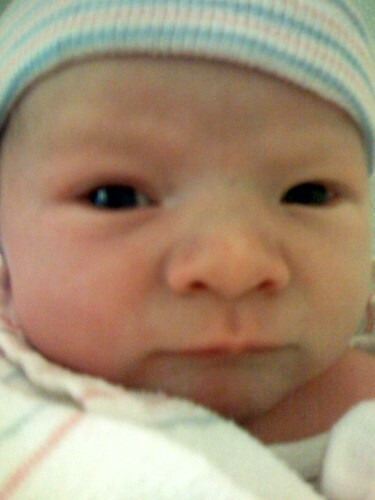 My new niece is named Evelyn Marie Lowry, and she's the first daughter of my only brother Ethan. She was born last night, delivered by Cesarian section. I'll fly to Austin tomorrow to begin a six-week assignment for work; I will probably fly out to San Francisco for a long weekend at the end of the month so that I can visit with Ethan and Kelly and meet my lovely new niece. Exciting times!